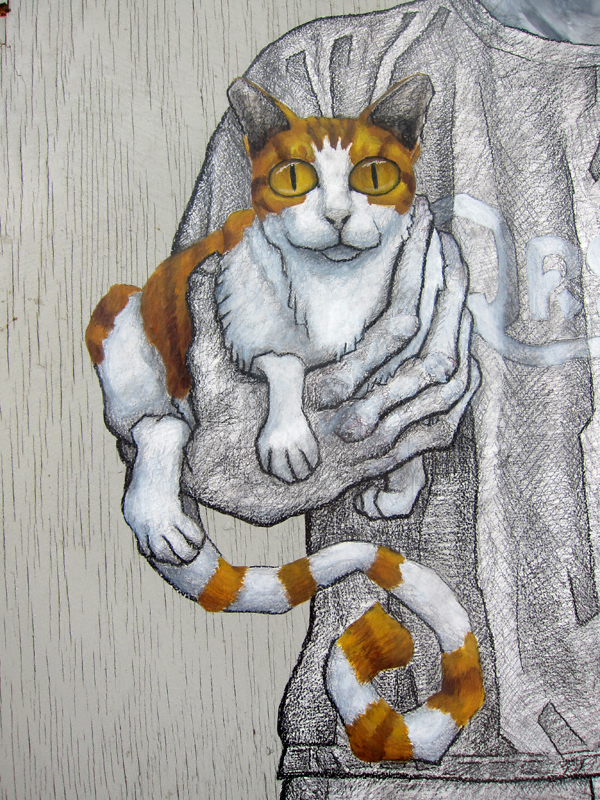 This item will undoubtedly be of interest to many a street art enthusiast. 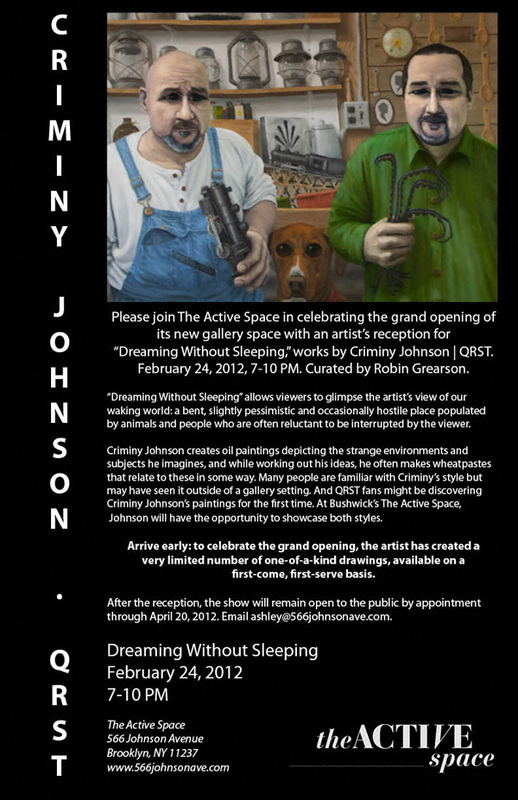 This upcoming Friday, February 24th, there will be an opening reception for Dreaming Without Sleeping, a solo show of Criminy Johnson’s (AKA: QRST’s) work at The Active Space. Those of you who are unfamiliar with this person’s amazing and whimsical work can (and should) get a sneak peek by clicking here. It’s seriously wonderful stuff. February 24, 2012 7:00 – 10:00 p.m.